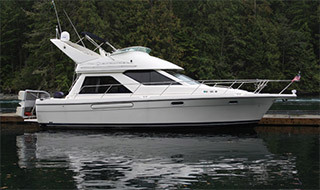 Have you dreamed of owning the yacht of your choice in the majestic cruising grounds of the Pacific Northwest? Have you wanted to have your own yacht for your family and friends but could not justify the cost? 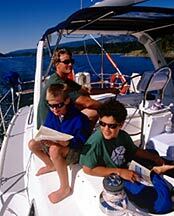 Anacortes Yacht Charters' yacht ownership plan is a way to make your wishes and dreams a reality. We can help you own a fabulous yacht with a substantial yearly income from charter revenue. We are the pioneers of the mini-fleet management system, which assures you of accountability and comprehensive care of your yacht. Our staff is available year round for the sole purpose of maximizing the charter opportunities of your vessel and to maintain and preserve your investment. 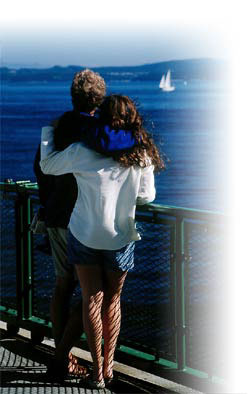 Located in Anacortes, WA, your yacht sits at the doorstep to some of the world's most magnificent cruising grounds. Located in Anacortes, WA, your yacht sits at the doorstep to some of the world's most magnificent cruising grounds. Charter income to offset or even exceed the expenses of yacht ownership. Real tax advantages and exemption from state sales tax on the purchase price. Your personal yacht manager who is directly responsible for a limited number of vessels. The peace of mind that your charter company has a business reputation second to none in the marine recreation industry. 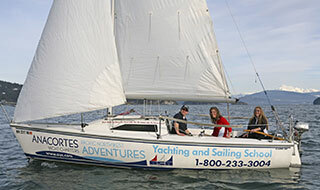 BRAND NEW sailboats for purchase specially designed and branded for chartering only available for placement in the Anacortes Yacht Ownership Program. Whether your dreams are for sail or power our experienced staff can guide you through the process to help you acquire the perfect yacht for your personal needs as well as maximum charter potential. Our charter owners reside in every part of the country. They are connoisseurs of some of the world's choicest cruising grounds right here in the islands of the Great Northwest. 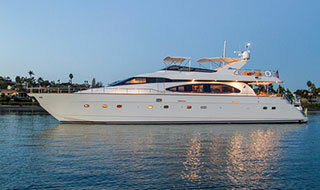 Anacortes Yacht Brokers, a division of AYC, is dedicated to ensuring you select the best yacht for charter purposes. Please call our office and ask for our brokerage division. "Mike, Kristin and the Staff at AYC: As most of you know the sale of our Catalina 30 "Tofte" was completed this week. So just want to thank you all for your part in caring for Tofte while in charter service at AYC. It's been fun for me and my family to have a boat available for our use during these past twenty years (started March of 1995 to present). I know it's not always easy to manage as many boats (and owners) as you do but for the most part it's been a really good experience for us. So thanks for all your efforts. Hope to see you next sailing season and perhaps I'll charter some other boat. "Dear AYC - I thought I would pass along some thoughts about the staff there and the latest newsletter. It's one thing to own a charter boat and face alone trying to maintain, keep clean, and present the best face to a potential charterer. Quite another thing knowing that AYC has expertise at every level available to assist. The latest newsletter really put it into perspective for us. AYC has assembled quite the array of talent. People who have worked installing diesel engines, to sailing around the Pacific to being closer to home with a 100 ton license, to going single handed multiple times to Alaska etc. etc. We know your faces, it was good to hear the back-story in the newsletter. It is the network of talent at AYC that allows the knowledge of boats, local waters and charter needs to multiply/magnify itself to the benefit of the owners. We have learned so much from so many at AYC, and it is because of the depth and breadth of the knowledge in the talented people you have gathered. Elinor and I feel blessed to be able to own a sailboat, and having the AYC at our back has enhanced the steep learning curve we had in 2010. From the 1st experience with Vann and Mike to the ongoing maintenance needs to the enhanced website, the people taking the charter calls, the owner's rendezvous, it has been and will continue to be a pleasure to work with all of you at AYC. I know I speak for many owners that value all you do. Keep up the great work. We live in paradise, and it is a privilege to share a piece of it with others via the best charter business on the West Coast (or anywhere for that matter)." "We were first introduced to AYC in 1994 when we chartered a 42' Californian. Your professionalism and first class operation left such an impression that it planted the seed of buying a boat and putting it into charter. We can honestly say we would not have trusted our boat to any other local charter company. We simply would not have considered chartering as an option. You worked with us to find and purchase our boat and walked us completely through the whole process. A process that could have been tricky as the boat we purchased was out of Canada. At every step of the way you have exceed our expectations. You laid out a prediction of expected income after expenses that would cover 95% of our costs. Much to our surprise in our first few years, income exceed 100% of costs!" "We love the Pacific NW, but live in Texas and needed help with all that goes into properly maintaining our 47 ft. pleasure boat docked in Anacortes. We decided to look at charter companies to help defray the cost of a boat that we can only use a few times a year. After checking around, the Anacortes Yacht Charters was a standout in the crowd. 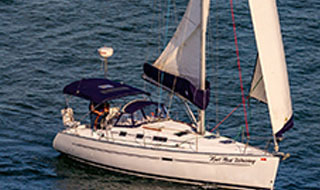 They have friendly, knowledgeable staff for booking charters and full time maintenance crews for repairs and cleaning. They understand boats and have helped us so much with the huge learning curve of taking care of our investment. One of the worries of boat owners is having their boat charted by people that aren't skilled enough to skipper the boat and stay out of trouble. We love the fact that AYC is so careful to screen potential charters and try to find the right fit. As boat owners, we don't want someone that "thinks" they can handle our boat-until they find out too late and have damaged it. Our first season netted us 10 weeks of charter! We are off to a great start and appreciate the partnership we've formed with AYC."